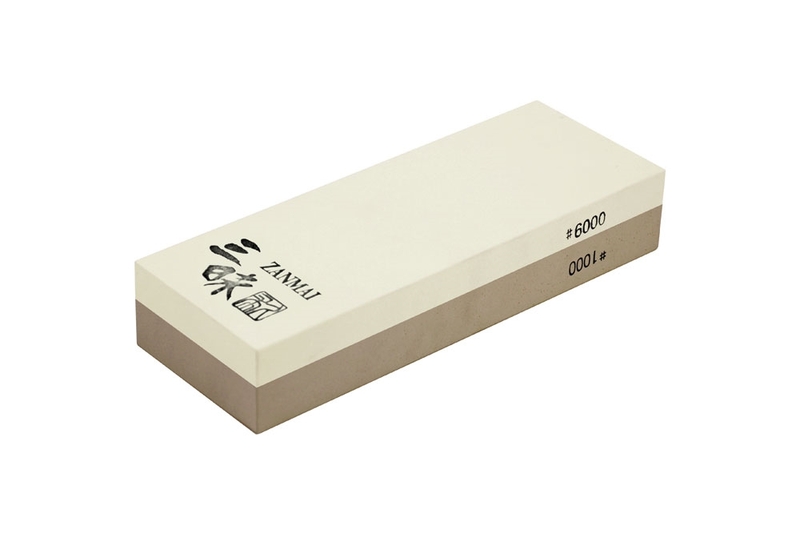 The Mcusta Zanmai 1000 & 6000 Combination Grit Japanese Whetstone is the perfect way to maintain and polish your favorite kitchen knives. Originating during medieval times, whetstones are still the highest recommended sharpening method by professionals and knife connoisseurs alike. Use grit #1000 for basic sharpening and routine maintenance, and finer grit #6000 to put a razor-sharp, polished edge onto the knife blade. Before sharpening, pre-soak the whetstone for 10-20 minutes; continue to keep the stone slightly wet during the sharpening process. Made in Japan.